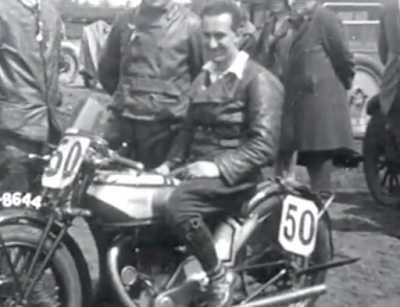 -SG- Our posting of April 2018 re Don Morley's CS1 mentioned that Stanley Woods' 1927 TT machine almost certainly had registration number OP8644. Here he is on it at the Dutch TT (Assen) later in the year. This link also shows a film taken at this event. See this photo too.